Paul Seelig lived most of his life on the island of Java, but he made trips to Europe, America, Australia, Japan and Siam. He had a music business in Bandung. In his music he combined Eastern and Western elements. He developed into a renowned composer and was programmed at the Wiener Festwochen and many other venues. During the war he remained on Java, at that time Dutch territory, while his other family members lived in the Netherlands. In 1943, he was interned in a camp where he died on June 12, 1945. Many of his manuscripts and compositions were lost. Paul Seelig was born in Dortmund in 1876, the oldest in a family of seven children. The family lived in Breda, in the Netherlands, where his father Johann was a musician in an orchestra, but he wanted to try his luck in the Dutch East Indies and in July 1880, the family moved to Batavia, and afterwards to Semarang. Johann was Kapellmeister of the military brass band. In time, he started his own piano and music business, J.H. Seelig & Son. At the age of six Paul got his first violin and piano lessons from his father. A few years later he was able to play on different instruments in the orchestras which his father conducted. A major challenge, because if he made mistakes, his father hit him. The climate and hard work weren't beneficial to Paul's health and he became sickly. His father decided that his two sons, Paul and Willy, needed a proper musical training at a German conservatory. They enrolled in 1890 at the Leipzig Conservatory, founded by Felix Mendelssohn Bartholdy, an institution with a rich tradition and excellent teachers. Paul chose the cello as his main instrument. After their final examination, the boys returned to the Dutch East Indies. Paul settled in Semarang, and began teaching privately: cello, violin, piano and theory. In 1895, Paul moved to Salatiga, a mountain village with a relatively cool climate, not too far from the Court of Solo where he taught music. The money he earned with teaching and performing gave him the opportunity to return to Europe for additional musical studies. He also worked as a cellist and conductor in Germany. In June 1899, the steamship Soembing brought him back to the Dutch East Indies. At the end of the nineteenth century, the Solo Court in Central Java decided to establish their own orchestra and Seelig was appointed Kapellmeister. Under his guidance, a group of twenty Javanese musicians developed steadily into an impressive orchestra known as the Solo Court orchestra or Kepatihan orchestra. The repertoire included both dance music and works by the great classical masters. It is obvious that the musical life at the Solo court captured Seelig's interest in the Javanese kroncong music. This influence is reflected in all of his compositions. He compiled around two hundred gamelan themes, writing them down in Western notation and published in the bundle Gending Djawi in 1922 by Matatani in Bandung. In 1880, Bandung was still an idyllic town but by 1940, it had developed into a metropolitan city, nicknamed the Paris of Java. Seelig would live and work here for the rest of his life. In 1903, his father had founded a music shop on the Bragaweg. Paul took over the shop after his father's death and made it into a flourishing business. It became a pleasant meeting point for famous international musicians on tour in the Dutch East Indies. Next to t his time-consuming music business, Seelig spent all his energy on composing. Educated in the nineteenth-century German music tradition, he initially composed in a Western romantic idiom, using traditional harmonies and German texts. But he was also attracted to exotic subjects; songs on texts from the legend Sakuntala by the great Indian poet Kalidasa and the Malayische Lieder (in German). In his compositions like the Rapsodie javanaise he incorporated gamelan motifs. This became his most popular piece, which premiered in Utrecht and was often played in the Dutch East Indies, Europe and America. Another composition with a gamelan motif is the Marche javanaise as well as a number of gamelan transcripts arranged for piano. Two collections of kroncong songs arranged for piano and Drei Gesänge aus der malayischen Epik were published in Leipzig. His German romantic idiom had developed into a personal style with the gamelan and the Malaysian language as important characteristics. Once a month he traveled to Solo, to conduct the rehearsals of the Kepatihan court orchestra. And he played the cello in the amateur orchestra of the Music and Dramatic Society Braga. In 1910, he met the internationally renowned French-Canadian singer Eva Gauthier, who had traveled to the Dutch Indies to perform there. Seelig would become her accompanist in a number of successful concerts in the Dutch Indies and abroad up to 1914. Gauthier became all the rage, especially in America, as a specialist of Javanese music, referring to Seelig as her important guide. Dressed in a mix of authentic Javanese and Malaysian costumes, her recitals also included Seelig's songs. She recorded his kroncong song Djika Begini and his arrangementof the popular Nina Bobo on a gramophone record. 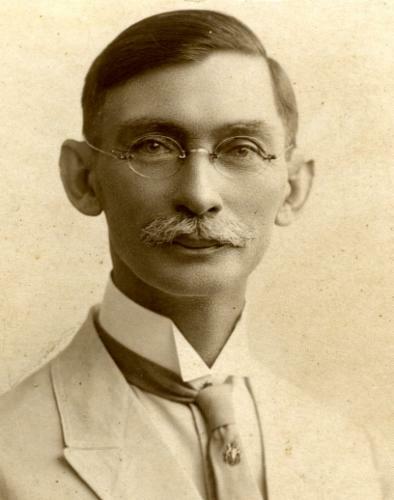 After visits to Bangkok to study Siamese folk music, he went to Europe in 1914. That summer in the Netherlands, he met a girl from the Dutch Indies, Louise Alberti, and it was love at first sight. On the occasion of their engagement, Paul made a romantic setting of the Pantun Djika Begini, a love song for voice and piano. They married in September and shortly thereafter moved back to Java. World War I had already broken out, the North Sea was full of mines, but their trip ended well. In subsequent years, four children were born: Paul, Frederick (who died young), Hugo and Clara. In Bandung, Seelig gained a reputation as a Dutch-Indo composer due to the integration of eastern elements in his western classical music. This can be heard in his kroncong melodies and traditional songs from the Preanger, dances from old Batavia, songs from the Komedie Stamboel (a popular theatre company in colonial Indonesia) like Siti Senimbar and Hawa madjelis, popular native songs, gamelan themes, West Javanese love songs and a Malaysian suite for orchestra. Seelig also composed orchestral and incidental music inspired by stories or music from India, Java or Bali: the melodrama Dewi Angreni, symphonic legends Djojobojo and Panji, the Hindu legend Parvati, the Indische suite based on kroncong themes and exotic dances from Bali, Burma, the Dutch East Indies and Siam for piano or orchestra. Most of these works are lost. Under the pressures of an economic downturn, the colonial government stopped funding the military orchestra. Farewell concerts were given in 1931 in Batavia and Bandung with the Piano Concerto in f-sharp minor, one of the larger and more complex compositions by Paul Seelig. In this work, the romantic idiom and Javanese gamelan music go hand in hand. The concert pianist Käthe Haasse-Diehm Winzenhöler, mother of the famous author Hella Haase, was the soloist. She had intensively rehearsed the piece with Seelig. His international successes, especially in America, where his music had been used in ballet, led to an invitation from Hollywood. He was commissioned to write the score for the film Singapore Sue (1932), with Gary Grant as a sailor in a Singapore bar. His music was also programmed and conducted by Ignaz Herbst at the annual Wiener Festwochen, an initiative of the Deutsch-Österreichischer Autorenverband and meeting place for famous and promising composers and performers presenting contemporary music. The daily De Preangerbode of May 4, 1932 wrote about his success in Vienna. In a long article, “How a fellow citizen is honored,” Seelig was the only “Asian” composer present and the following year was again invited to submit works to the Festwochen. On his sixtieth birthday, he was appointed an honorary member of the Deutsch-Österreichischer Autorenverband. After the Japanese invasion and subsequent occupation of the Dutch East Indies, Seelig kept working for a considerable time. Ultimately, in September 1943, the day arrived that his music shop was ransacked by the Japanese. He was arrested and interned in a camp near Bandung. Most of his manuscripts, including the extensive music history of the Dutch East Indies, unique photographic and documentary material and his compositions, were lost. Seelig became seriously ill in May 1945, and he was transported from Bandung to the civilian hospital Mater Dolorosa in Batavia. This former convent was especially designed as a hospital for the men taken ill in the West-Java camps. The mortality rate was high. Seelig died on June 12, 1945. His remains were eventually transferred by the Red Cross to the war cemetery at Leuwigadjah Tjimahi. He never knew that his son Hugo died in Normandy after his plane was shot down by the Germans on August 19, 1944. Louise and Clara remained in The Hague. Clara became intensely involved in the life and work of her father and has made great efforts together with her husband Erik Ruijs, to keep Paul Seelig's name alive. Paul, Jr. settled in Amersfoort, working as a freelance pianist, music critic, publisher and teacher at several music schools. He lived well into his nineties.